Seems like a good moment to make some documentation of club rombus. Ill make a static page then add to it. Of course all these links really do is gravitate back to the Cube. For Rombus I’m going to have to dig into the paper, fax, photocopy archives. How did we manage before the www? Well we didn’t have a spellchecker! 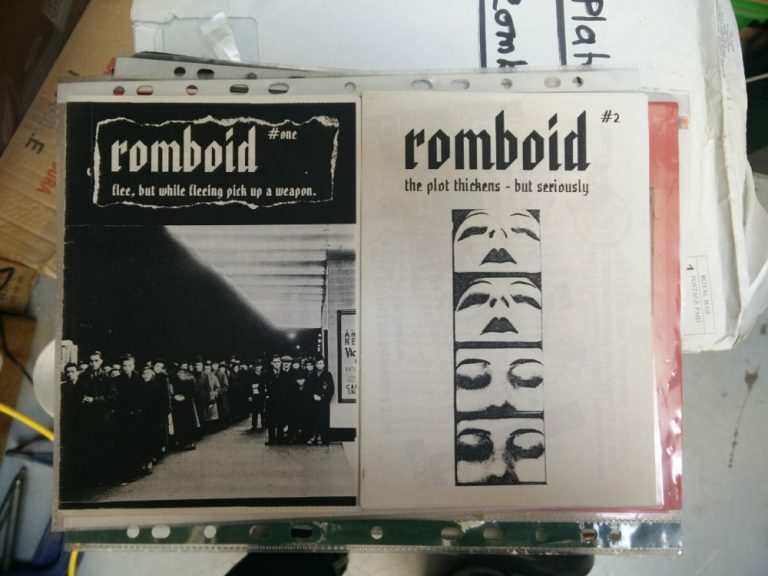 Heres th covers of Romboid, the ‘zine’ programme / info pamplets we made. All on a photocopier of course. I can scan them and make PDFs of each one, we only did 2!